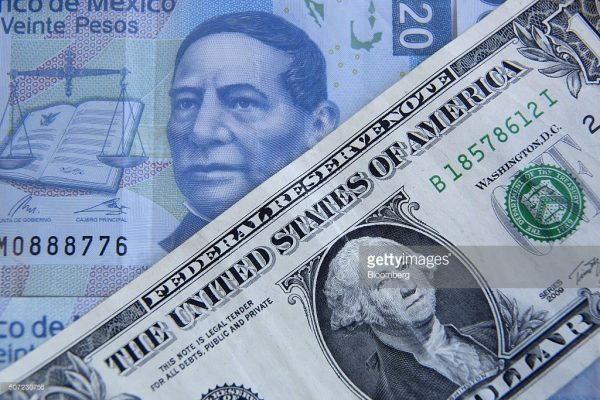 Mexico’s peso traded sharply weaker on early Friday June 24, briefly setting an all-time low after Britain voted to leave the European Union and sent shock waves through global markets. The peso, one of most liquid emerging market currencies, was 3.2 percent weaker at 18.805 per dollar after plunging as much as 7.15 percent to 19.5225. Mexico’s finance ministry was scheduled to hold a news conference at 8:00 AM local time to discuss the so-called Brexit and its anticipated effect on the Mexican economy. The local peso has slumped about 9 percent against the dollar so far this year.